Lakeshore Records will release the BLACK MIRROR: BLACK MUSEUM – Original Soundtrack digitally on January 19, 2017. The album features original music by composer Cristobal Tapia de Veer (UTOPIA, HUMANS, THE GIRL WITH ALL THE GIFTS). The Black Museum episode is presented as a series of three stories told by Rolo Haynes (Douglas Hodge), proprietor of the remote “Black Museum” to his solitary visitor Nish (Letitia Wright), all involving various exhibits related to cutting edge technological connections and transfers with the human brain that Rolo had developed in his career. 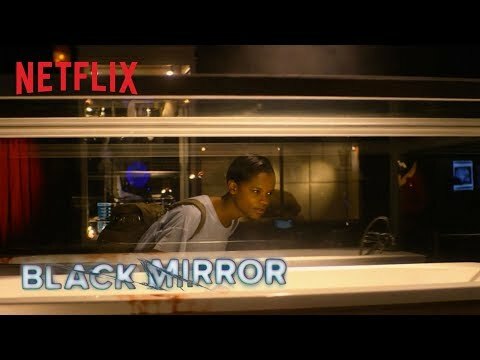 NETFLIX present BLACK MIRROR streaming globally where available. Lakeshore Records will release the BLACK MIRROR: BLACK MUSEUM – Original Soundtrack digitally on January 19, 2017.